The popularity of online payment methods in Singapore has risen rapidly, prompting the government to announce that it aims to go cheque-free by 2025. This is made possible by the expansion of the PayNow transfer service, which will allow businesses and government agencies to electronically receive payments, with no need to disclose information such as bank account numbers, the Straits Times reported. According to the Association of Banks in Singapore (ABS), PayNow Corporate will become operational on 8am of August 13, 2018. Seven major banks are now part of this system, namely: Citibank, DBS, HSBC, Maybank, OCBC Bank, Standard Chartered Bank, and UOB. Ong Ye Kung, Monetary Authority of Singapore board member and Education Minister, said that more than 80% of Singaporean consumers have adopted electronic payments, while almost 60% of merchants have done the same. “We don’t need to be literally a cashless society ­– some people will always find cash useful – but we certainly can transact with a lot less cash, and we won’t need to visit the ATM so often,” Ong was quoted as saying at the ABS’s 45th annual dinner. “Let us aim to bring that down to 15% in 2020 and become a cheque-free society by 2025. Sweden has done it. We can too,” he added. 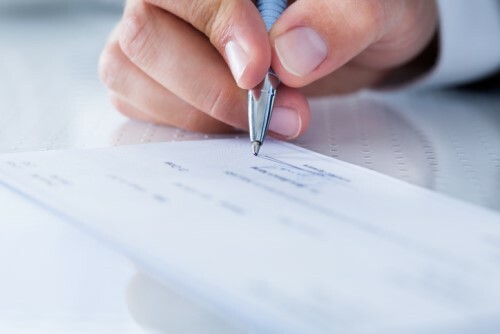 Technological changes have led to a point were reliance on cash can be greatly reduced, and cheques could fall into disuse, especially for one-off payments such as insurance claims, an expert said. He added that remitters will no longer need to keep track of payee details, with the information managed by a third party at a central location.